First came deception, then came language and then came lies. A minuscule level of cognitive ability is sufficient for animal deception. Some animal mimicry and camouflage is probably at the instinctive level and requires no consciousness. We have been using deception probably starting before we were primitive humans some 10 million years ago. Deceiving those who were hunting us, deceiving prey and even deceiving competitors of our own kind. Deception generally requires another mind to exist to be deceived (and self-deception is fanciful except for a schizophrenic). There is no deception involved in hiding from a tree or in avoiding a landslide or escaping a volcanic eruption. Deception lies in inducing the other mind to believe in something false as being true or in believing something true to be false. Before we had language, deception was confined to using behaviour and actions to induce the false belief. This could have been, for example, hiding from hunters or prey or of appearing taller and stronger than a competitor. Deception was a tool even for groups cooperating among themselves to induce a false belief in a third party. However the cooperative act of deception required communication between the cooperating parties – even if without language. This kind of deception was primarily about inducing a false belief about the present (and about the imminent future), but could not really address the past or the distant future or anything in the present which was not immediately perceivable. And then came rudimentary language. That was more than 100,000 years ago and maybe even more than 200,000 years ago. But we already had some idea of the concepts of “good” and “bad”. It is not difficult to see that anything which helped survival would have been labelled good and the levels of goodness of any event would have been linked to its relevance for survival. This would have been the beginnings of the development of a value system. Good and bad lie as the foundation of any, and every, value system. There was surely communication before language, but without language there was no possibility of communicating about things past or things future. Life was in the now. What was, was true, and what was not was false. But the concepts of true and false had been established well before language was discovered. Sometime after the world around us had been divided and classified into good and bad and all the shades in between, came language. First came the discovery that we were capable of language and then that language enabled communication. Then came the invention of various specific languages at different times. (I see language as being discovered and languages as being invented). Some were good and others were not so good. Naturally all those who spoke the same language were on the side of the good. Every language that has ever existed has an in-built logic which mirrors the logic perceived in the surrounding world. To begin with, language was anchored to perceptions of reality. But language opened the doors to the past. History could be communicated. Forecasts of future events could be made. The past could be connected to the now and the now to the future. As people communicated about the now, it would have become apparent that even events in the now were mere perceptions. And then came the dawning of the realisation that language did not have to be anchored in reality at all. Language could describe what was not. The concepts of true and false expanded to include the past and the future and the abstract. History could be guessed or invented. The future could be fantasy. Fake news became possible. Language made lying possible. The most widely accepted definition of lying is ……. 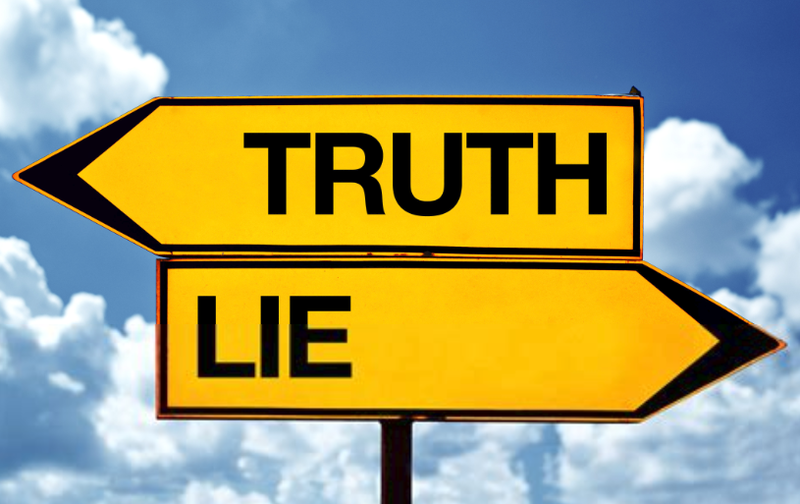 “A lie is a statement made by one who does not believe it with the intention that someone else shall be led to believe it” (Isenberg 1973, 248) ………there are at least four necessary conditions for lying. Lying needs the ability to make a statement which is enabled by language (condition 1). More than that, lying is endemic in the use of language. Lying, as a concept, is necessarily imbued with the intent to deceive (condition 4). Inevitably, given that intention, lying carries the (almost) universal value of being “bad”. Exceptions are made only when the intent to deceive is secondary to a more laudable intention. All social interaction involves some level of lying. I suspect that “benign” lying is necessary for the human use of language. Every statement has a truth value. Any statement of belief (which includes also all “facts” which have not been personally verified to be true) is a lie to some extent. Most human behaviour is based on beliefs that statements, which are not personally verified, are true. We could not speak about the future, or of the past, or about abstract things, if language did not allow the lie. I suspect that modern humans would not have evolved, as we have done, if language was constrained to disallow anything other than true statements. This entry was posted on October 13, 2018 at 2:20 pm and is filed under Language. You can follow any responses to this entry through the RSS 2.0 feed. Both comments and pings are currently closed.